I get this question ALL the time! What is the best eyeliner for me? As a former MAC freelance artist I must admit that my heart still belongs to MAC… however I’ve been branching out this year and trying to expand my makeup brain. I signed up for a few monthly subscriptions that send trial size products in the mail and I have found a few that I LOVE! Do you want a clean, sharp and defined line? Do you want a soft blended line? Do you want bold color? Do you want to use a brush or a stick? Do you want it to move/smudge? Do you want to apply it above your lash or on the waterline? Do you want it to be waterproof? Do you want lots of color options? YOU CAN CLICK ON THE IMAGES TO LEARN MORE ABOUT THE PRODUCTS IN OUR PHOTOS! 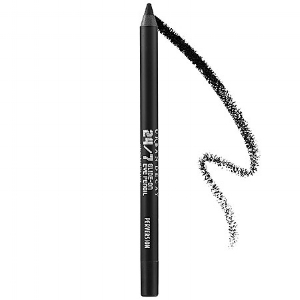 These liners are formulated specifically for that shiny, wet part of your eyelids between your lashes and your eyeball on both the top and bottom. 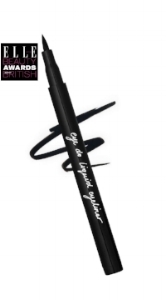 If it’s important to you to have liner here and you don’t want it to move this is a must have product! This formula is a branch off of the pencil family and is typically matte and very dense in color with long lasting wear. Tightlining and applying liner to your waterline can make your eyes appear bigger when using a dark color, or make your eyes look brighter leaving a well rested appearance when using a lighter color. Most of the products on the market will claim to be tested and safe to apply so close to your eye but you should still proceed with caution, especially if you have sensitive eyes. Markers are definitely trending! It provides a quick easy way to apply a wing tip or accomplish a perfect cat eye. I have tested countless versions of these liners! Some stay shiny, some dry matte, some stay on well and others become flaky through out the day so choose wisely! They will provide a clean, sharp line with bold color and should be long wear, maybe even long enough to require some elbow grease to get it off. They are quick drying and usually have a gel or water base. This is a great option if you want something that will move. They behave much like the wax crayons we use to color with… they go on smooth and smudge easily, making that runway minimal make-up look a cinch. They come in countless colors, and the color density will depend on how hard you press and how many times you go over the line. I love using a smudge brush with these! For a dryer application with less mobility I reach for a pencil. It’s the happy medium between a marker and a crayon. They can leave a soft appearance when applied lightly and smudge brushed, or they can leave a bolder line with a little more definition with a few more strokes. They are matte in finish and come in a plethora of colors as well as metallic and glitter options. 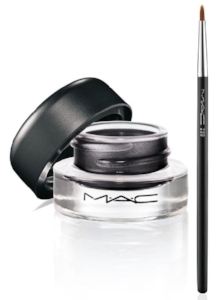 This option is not for the beginner… it requires the use of a liner brush and can be quite frustrating at first. They are typically a gel base and are only moveable for a short time while it is drying. Brush choice is huge here! I personally prefer a very defined angle brush, where some artists prefer a single liner style brush. They can be matte or finish with some luster depending on the product you choose. A great long wear option if you are up for some practicing.